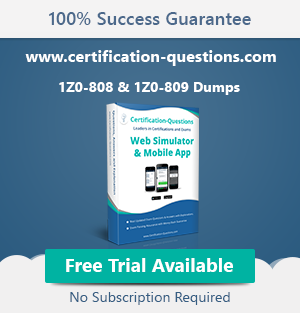 What is the cost of Oracle Java Certifications - OCAJP8, OCPJP8, OCEWCD, OCMJEA? One of the frequently asked questions about Oracle Java certifications, formerly known as Sun Certified Java programmer e.g. OCAJP, OCPJP, OCEWCD, OCMEJA etc is about the cost of certification. Many of my readers often ask what is the cost of OCAJP8 or OCPJP8? Is there any discount available? What are the fees of Java 8 certifications? how much Java architect exam cost? etc. I have answered many of them one to one via Facebook and Email in the past, but after so many such requests, I decided to write a blog post about it. The key thing to note is that the cost of Oracle Java Certification depends upon the country and exam. 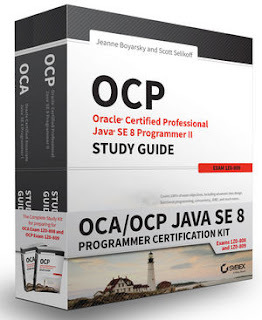 The Java SE 8 Certification has two exams, OCAJP 8 or 1Z0-808 and OCPJP 8 or 1Z0-809, cost of both certification exams are different in different countries. Take an example, the same 1Z0-808 cost around 10K INR in India but 245 USD in the USA, 330 CND in Canada, 322 SGD in Singapore, and CHF 238 in Switzerland. This exam has been validated against Java EE 6. 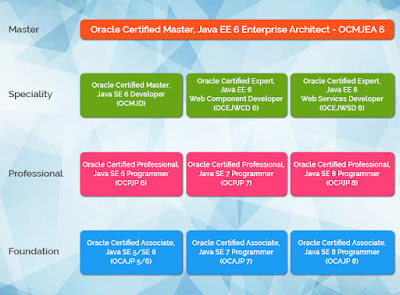 That's all about cost and pricing of Oracle Java Certifications e.g. OCAJP, OCPJP, OCEJWCD, and others. As I said, price depends on the country you are planning to take the exam and the actual exam code. For example, same OCAJP 8 exam with code 1Z0-808 will cost 245 USD in the USA, 212 Euro in Europe, around 10,000 INR in India, and 330 CND in Canada. Cost of both OCAJ7 and OCAJP 8 is also same.